Why is the South Pole colder than the North Pole? Is hippo sweat really pink? What causes a meteor shower? In this intriguing deck of cards, the Expertsbiologists, cosmologists, oceanographers, computer scientists, paleontologists, and the likeoffer lucid, concise answers to 48 questions asked by readers of Scientific American, one of the worlds finest sources of scientific and technological information made comprehensible to the nonscientist. 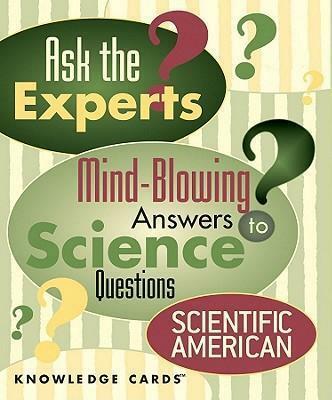 Casually voiced and packed with solid information, Ask the Experts is a treasure for the intellectually adventurous, a great tool for awakening curiosity in young minds, and a delight to anyone who has ever fruitlessly pondered the abiding question of humankind: If nothing sticks to Teflon, how does it stick to pans?